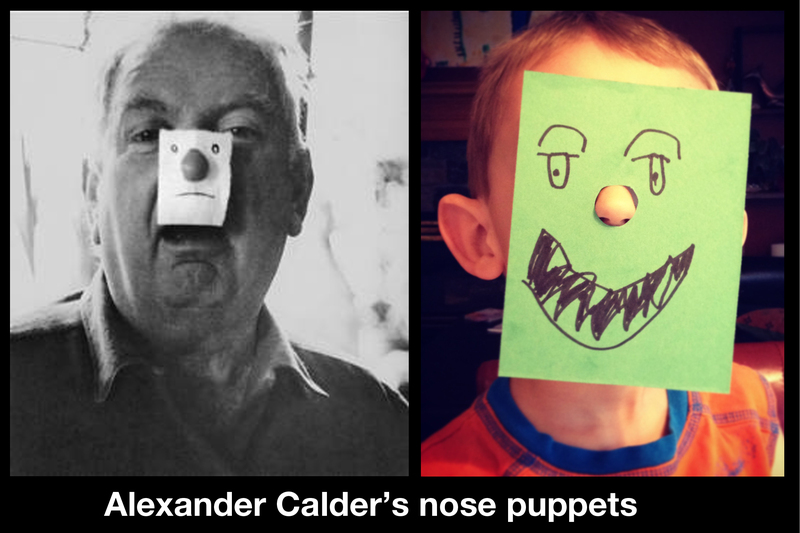 Alexander Calder invented more than mobiles – he invented nose monsters! We made those with the Little Artists as well and they loved them! We Just took a paper rectangle (with a little hole in the middle) and drew eyes and mouth. There was no need to draw the nose because that was going to be their real one! I even brought a mirror for them to see how spooky or funny they looked. Now we are ready for Halloween! This entry was posted in Art Projects and tagged alexander, art, ArTree, calder, craft, Halloween, magazine, monster, project, puppet. Bookmark the permalink.